How would you compare the last gen 10 speed Ergo shifters of 2007 or so to the 11-speed ones they make now? The prices on eBay are actually pretty close but I'd prefer to go with a silver Record Campy group for my next build. Thanks! So that is more the shape of the hoods? Is the mechanical action about the same? Purely the shape of the hoods, the 11 speed allow for a comfortable grip around the tops of the hoods when riding a bit more aero, the shifting is more or less identical. But since the 10 speed is the Campy original on my C40, I'm keeping it as is. I have the silver Athena 11 speed on my Colnago Master for the retro look. Last edited by kingfishr; 11-17-15 at 03:09 PM. I know there are many in the C&V section who ride modern gear, but, @66Satellite, did you really mean to post this in the C&V section? Hey, 10 speed is vintage now, right? Sorry, wasn't really thinking. But it's gonna be for a semi-vintage restomod kinda build (Molteni MXL). Does that count? How do you like the silver Athena 11 compared to the 10-speed Record? No worries on my account. Some people do get a little protectionist about this forum, since it clutters up topics of true C&V interest, and I understand that POV as well. I just think you'll get a far better set of replies in the main Road Cycling Forum. Yeah but what if I trust the opinions of the retronerds more? Doesn't bother me a bit. I have some old bikes and like to hang out here a bit, but the resto mod idea winds my binder just as much. Just make sure to post that MXL and do a thread when you build it. There will likely be far more interest than you might expect. Sure thing. This is what I have so far. Pretty much my holy grail project. I have just been a Shimano guy for the past 20 years. I just can't think of a better group for this frame though. Softer shifts, but still very nice. Looks hot on steel bikes. Fairly economical is you buy it from the correct source. A 10 speed Record or Chorus groupset is great looking/performing. I have a few bikes with Chorus and its about the same thing as Record if you want to save a few pennies. Well worthy of a thread so I can drool on the keyboard looking at it. More angle shots of the frameset when you get a moment. Fork crown, seat cluster, bottom bracket, decals.....etc. 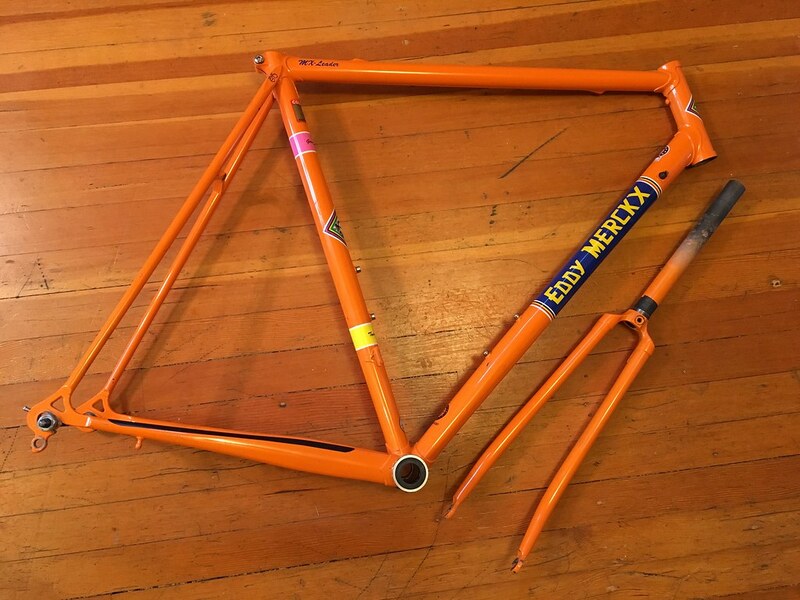 FWIW Start a new thread entitled Eddy Merckx- Molteni MXL. Folks will come out of the woodwork for this one. Yes, cool project certainly worthy of its own thread when the time comes. Please do! I also have 2009 Centaur in silver but don't like the soft shifting. I find myself shifting too many gears up the casstte sometimes because it's hard to feel each click. At least it's about actually riding bikes rather than someone staring at your helmunt. What I'm wondering is if Campy 11-speed would work with a Shimano 12-32t cassette. The new 11-speed Ultegra only comes in hideous dark grey. I'd love to put a polished Silver 11-speed Athena group on my vintage steel frame, but I'd really like more than 29t in the rear. I've been told it will. Haven't done it yet, but I might on my BMC build this winter. 6800 hubs with Archetype rims might be just the ticket. Fwiw Ribble is still intent on giving away Ultegra and Athena groupsets. Sounds good and beefy, nice. I have a set of 7800 and Hed Belgium (C2) rims built 3 or so years ago that are probably about the same, one heck of a wheelset. See? This is why I posted here. You guys get it. Now I'm very interested in the 2010 Centaur 10 shifter idea--I get 10 speeds, I get silver levers (I think) and I get the new hood design. Not seeing them on eBay though. So what's the best quality 10 speed shifter with the new hood design if I otherwise want to go 10-speed Record? They're far better than current production PowerShift levers (Athena) which can only shift one cog smaller not five, especially when you're running a compact crank with a tight cassette where you can change rings and access the next gear with a pair of thumb shoves not CLICK-release-click-release-click-release-click-release-click-release. If you shift lots they require new G-springs every couple of years and perhaps a spring carrier, while the new UltraShift mechanism lasts almost indefinitely. That said, in 2009-2010 they made 10 speed UltraShift levers available in carbon-fiber, black alloy, and silver alloy. You want the 2010 which have an index cam with more substantial detents; although if you get the wrong levers a replacement mechanism is only $100. OTOH, previous generation levers bend the cable housing to get it to the shift drum and I used to get 4000-4500 miles out of rear cables. New levers have a tighter 90 degree guide inside the lever body which almost cuts cable life in half to 2000-2500 miles for me (as in 2-3 months). UltraShift/PowerShift levers have more comfortable hoods with more leverage on the brakes. With all that in mind, I'd still choose my 2010 Centaur Carbon Ultrashift levers. I picked them up NOS in 2011 before the supply dried up for use when I finally wore out a discontinued small part in my 1997 levers. Last edited by Drew Eckhardt; 11-17-15 at 08:44 PM. 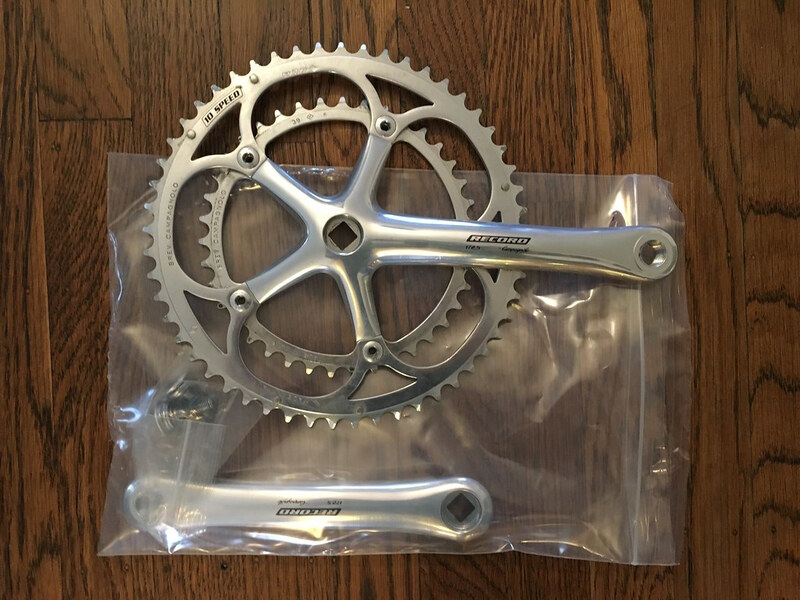 FWIW, if you're buying used parts you can get silver 11 speed Record.